Ian Siegel is an entrepreneur speaker, CEO and co-founder of ZipRecruiter, who speaks on the future of work. 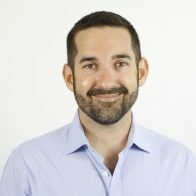 When Siegel founded ZipRecruiter in 2010, he had a mission to make hiring easier by creating an online platform that would enable companies to post to multiple free job boards with a single submission. 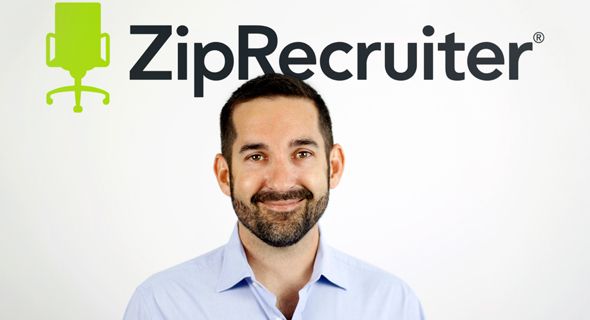 Now over 120 million people have used ZipRecruiter and 80% of recruiters who post through the site get a quality candidate in just one day. While the company is still pre-IPO, it has been valued up to 1 billion dollars. Working on ZipRecruiter has helped make Siegel a thought leader on the future of work and hiring. Using data from ZipRecruiter, Siegel has a pretty good idea of what’s trending in the work world—not only what jobs are available but also how people are looking for jobs. When Siegel started ZipRecruiter, only 20 percent of people searched for work by mobile phone. Now 65 percent of people search for jobs on phones or tablets. This has changed job searching in two ways. First, people search for jobs on their phone like they do dating apps, such as Tinder. Instead of a list of jobs, it’s more convenient for people to look at jobs one at a time; then swipe left or right to accept or reject a job application. Second, the much-hated cover letter is on the decline. Since documents are difficult to send on a mobile phone or tablet, Siegel has seen a decline in the use of cover letters and an increase in organic interaction between employee and recruiter. More people now write a paragraph to inquire about the job and start a conversation. The online hiring process has moved from a searching paradigm to a matching paradigm. In the past, Siegel said the process used to be more about serendipity. A person needing a job just happened to be on a job search board and just happened to find a job that was of interest. Now Siegel says matching algorithms have sped up the process. Today when a company posts a job, the computer system immediately parses the descriptions, matches it with resumes on file, sends job seekers an alert, and within seconds, people are applying for jobs. The job market is changing much faster than our education system. It’s difficult to prepare young people for specific jobs that will be available in the future. While there’s still a need for traditional jobs, such as construction and data science, jobs such as ethical self-driving car hacker, 3D-printed footwear designer, and robotic medicine are completely new to the marketplace. It’s not just these sci-fi jobs that are new and different. Siegel noted there has been a 445 percent growth in the marijuana industry jobs in 2017 due to the legalization of cannabis. Compare this to the growth of technology jobs at 245 percent and the healthcare industry at 74 percent, and you can see how in some job sectors you can’t always plan for growth. Therefore, Siegel suggests we should stop trying to change education curriculums based on what we think future job openings will be because you can’t always predict them. Rather, we need to teach people to be lifelong learners so they can change and adapt to different industries. And, moreover, we need to teach people to be entrepreneurs so they can create businesses and work for themselves.